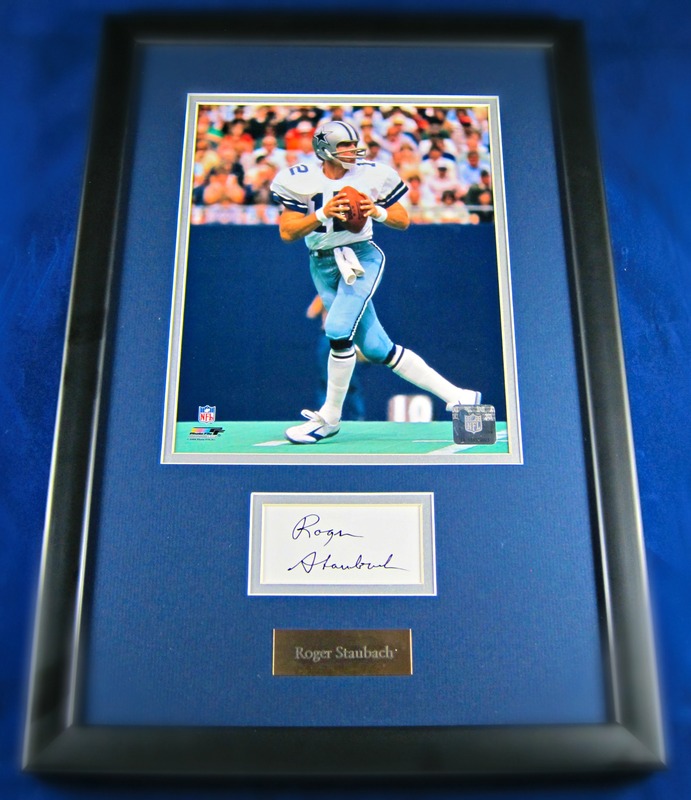 Roger Staubach cut signature. 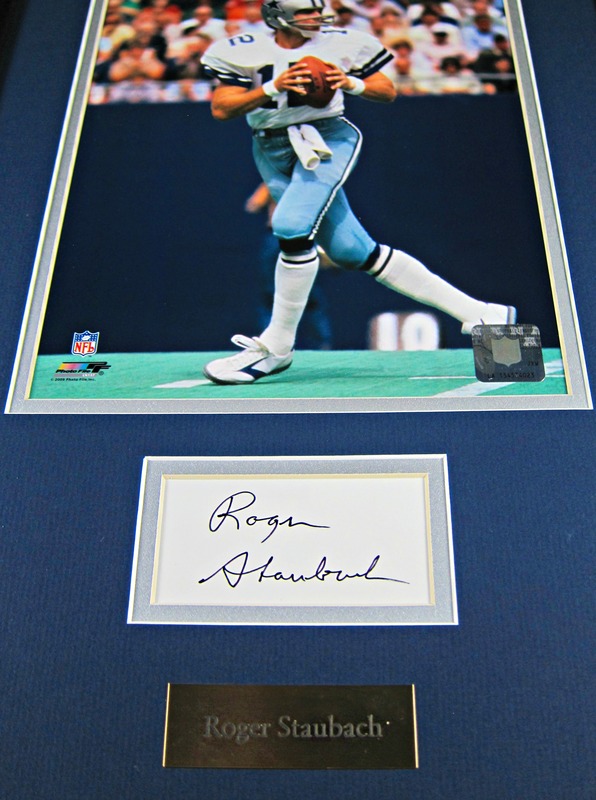 Includes 8 X 10 color Dallas Cowboys photograph, nameplate, matted and museum quality framing. 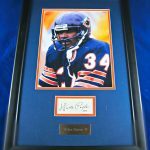 Includes a Letter of Authenticity from The Memorabilia Center. Roger Thomas Staubach (born February 5, 1942), nicknamed “Roger the Dodger”, “Captain America” and “Captain Comeback”, is a former American football quarterback in the National Football League (NFL). He attended the U.S. Naval Academy where he won the 1963 Heisman Trophy, and after graduation, he served in the U.S. Navy, including a tour of duty in Vietnam. Staubach joined the Dallas Cowboys in 1969 and played with the club during all 11 seasons of his career. 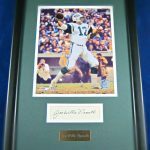 He led the team to the Super Bowl five times, four as the starting quarterback. He led the Cowboys to victories in Super Bowl VI and Super Bowl XII. Staubach was named Most Valuable Player of Super Bowl VI, becoming the first of four players to win both the Heisman Trophy and Super Bowl MVP, along with Jim Plunkett, Marcus Allen, and Desmond Howard. He was named to the Pro Bowl six times during his 11-year NFL career. He is currently executive chairman of Jones Lang LaSalle.